The ability to accurately encode intra and inter-object space is the foundation of spatial thinking. Currently, we are examining how movement at encoding – e.g., walking around an object versus rotating an object – can be manipulated to enhance spatial memory. Hand gestures are a normal, ubiquitous, and telling part of spoken language. They constitute a central feature of human development, knowing, learning, and communication across cultures (Roth, 2001). Gestures are used quite fervently in fields that are characterized as dealing with abstract matters such as science and mathematics. Gesturing is prevalent in these fields because much of science and math involve spatial thinking and requires communication of abstract and spatial concepts. A portion of spatial thinking involves building, manipulating, and using mental spatial representations. Spatial thinking also involves the use of external representations, such as maps, models, and iconic gestures (Liben, Christensen, & Kastens, 2010). Gesture plays a very significant role in the field of geology because it is a highly spatial science that makes heavy use of graphics, models, and gestural representations (Liben, Christensen, & Kastens, 2010). A study is currently being conducted looking the role of gesture in reading and interpreting geologic maps. Geologic maps give information about the spatial relationships of geologic structures at the surface, which can inform one about the underlying 3D structures. The study focuses on how expert geologists and novices differ in the use of gestures in their explanations of these maps. Can gesture facilitate penetrative thinking? 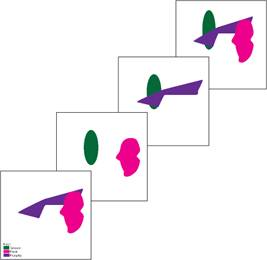 Within the domain of geoscience, students with high visual penetrative ability use spatial gestures to solve Geologic Block Diagrams (Ales & Riggs, 2011). Given the role of gesture in problem solving, gesture might facilitate penetrative thinking. 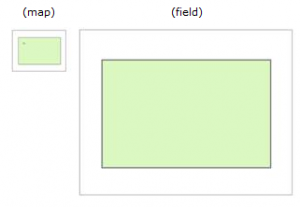 We investigated whether gesture can improve performance on the Geologic Block Diagram test. 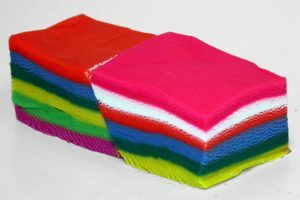 We found that participants who were asked to use their hands to explain how they would build 3D versions of geologic block diagrams from flat layers of Play-Doh showed greater improvement on the Geologic Block Cross-Sectioning Test (GBCT) than students in a gesture-prohibited group. These results suggest that gesturing facilitates penetrative thinking. Can you use the map to figure out where the egg is hidden in the field? The use of maps is suggested to be important for the development of spatial cognition, and experience with maps may improve spatial skills (Uttal, 2000). One important aspect of map use is children’s ability to complete spatial scaling. Children as young as three successfully scale from a model to referent spaces in extremely simple tasks (DeLoache, 1989). However, the age at which children succeed on scaling tasks seems to be dependent on the complexity of the task, perhaps due to the need for a more advanced understanding of the relational structure of maps and the space they represent. This project aimed to investigate the specific aspects of a scaling task that are difficult for children, and to improve children’s spatial scaling using progressive alignment, guided exploration, and feedback. Additionally, the relationship between children’s relational understanding of space and their numerical representation was explored. In one study, we investigated 4- and 5-year-old children’s use of scaled and unscaled maps when solving mazes. Results show that almost all children used the maps to solve the mazes at least occasionally, and use them consistently across maze difficulty and different types of maps. Map use and more accurate spatial scaling were associated with better performance on the maze. We suggest that maze activities including scale maps might provide an opportunity for developing children’s spatial scaling through play. There is a well established literature on how people represent and reason about time. 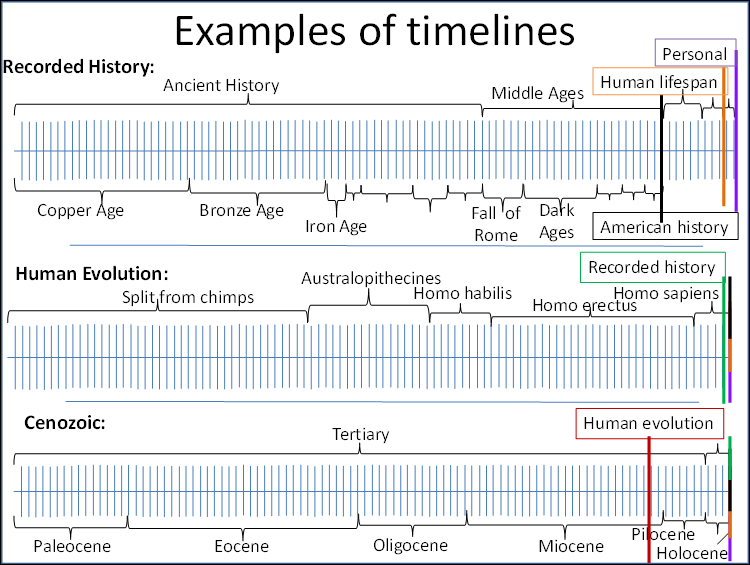 For example, people unitize time, people use a hierarchically nested structure of event units to estimate when an event took place, time is spatialized using two distinct spatial metaphors, and the direction time moves is culturally dependent. However, such research has examined experiential amounts of time; there has been relatively sparse research concerning larger magnitudes of time (e.g. 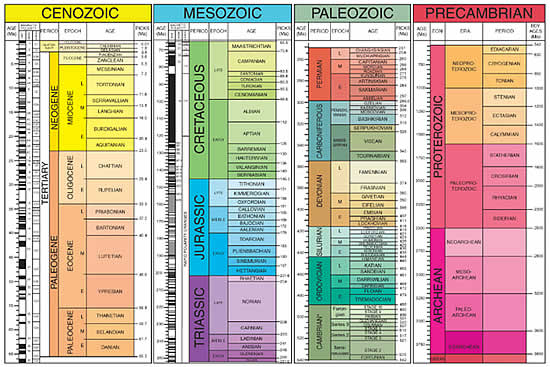 geologic time). Our research aimed to examine how the context of larger magnitudes of time may influence some of the findings discussed above. 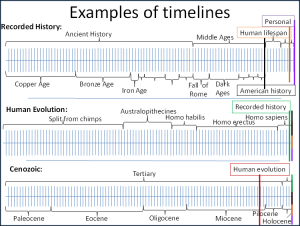 It is hypothesized that people reason about large magnitudes of time in the same way they reason about small magnitudes of time; however, different strategies and flexibility of representation may be related to expertise (those who have an expert understanding of thinking about large magnitudes). How experts (those who use large magnitudes) and novices represent large magnitudes was examined in a series of experiments. In one study, we viewed how people reason about phenomena across scales, in three sections: (a) we developed a framework for how relational reasoning supports understanding extreme scales; (b) we identified cognitive barriers to aligning human and extreme scales; and (c) we outlined a theory-based approach to teaching scale information using relational reasoning, presented two successful learning activities, and considered the role of a unified scale instruction across STEM education. Resnick, I., Shipley, T., Newcombe, N., Massey, C., Wills, T. (2012). Examining the Representation and Understanding of Large Magnitudes Using the Hierarchical Alignment model of Analogical Reasoning. In N. Miyake, D. Peebles, & R. P. Cooper (Eds. ), Proceedings of the 34th Annual Conference of the Cognitive Science Society (pp. 917- 922). Austin, TX: Cognitive Science Society. The ability to mentally penetrate the interior of an object relies on the integration of information from multiple faces. In the field, structural geologists take the exterior information presented at multiple outcrops and use it together to infer the underlying structure. Alignment can promote learning by emphasizing common spatial relationships (Christie and Gentner, 2010; Gentner and Sagi, 2006). In this project we use progressive alignment as a tool to help students understand that in order to visualize the interior of an object, one needs to incorporate information from multiple faces. Atit, K., Gagnier, K., & Shipley, T. F., (2015). 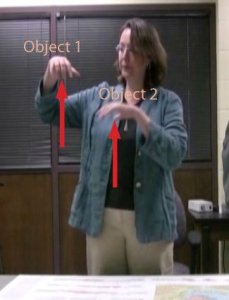 Students’ gestures help their penetrative thinking skills. Journal of Geoscience Education, 63 (1, February), 66-72. Penetrative thinking is challenging in part because the observers has to visualize a 2D object as a 3D figure. In this project we are examining whether experience with a 3D model of a geologic block diagram made of Play-doh (shown in Figure 2) will improve penetrative thinking. Gagnier, K. M., Atit, K., Ormand, C. J., & Shipley, T. F. (in press). Comprehending Diagrams: Sketching to Support Spatial Reasoning. Topics in Cognitive Science. This line of research attempts to categorize the role of mental transformation in geology, with additional goals of developing both educational strategies and assessments. Geologists self-report that they look at an outcrop and play back in their mind the sequence of transformations, mentally animating the transformations from the present spatial configurations back to horizontal sedimentary layers. An initial study examined if geologists are objectively able to make such mental transformations, and, if they are, is the skill domain specific or domain general. An objective measure was developed using words that were transformed in one of three ways, and the task was to identify the word. To make the task more demanding additional characters were added in between each letter of the word . Words were broken up into pieces along diagonal lines. These pieces were translated as if faulted or were randomly displaced . Additionally, a set of third items were developed to address the potential role of disembedding, with the transformations separated by space. Geologists were significantly better than two control groups, with no difference in performance within groups between the faulted and randomly displaced items, suggesting the geologists have a domain general ability to make mental transformations that is superior to matched novices. All three groups performed better on the exploded words, however Geologists still outperformed both control groups. This finding suggests that while disembedding is helpful for this task, it is not the sole explanation for the Geologist’s skill. Important to note, geologists performed at the same rates on a mental rotation task as chemists (one control group from another science that requires spatial reasoning), but significantly outperformed the chemists on this task of mental transformation. Resnick, I. & Shipley, T.F., (2013). Breaking new ground in the mind: An initial study of mental brittle transformation and mental rigid rotation in science experts. Cognitive Processing, 14(2, May), 143-152. We are currently developing another measure of penetrative thinking in which students are asked about the shape of an object that penetrated a cylinder. Students are presented with the cylinder shown in Figure 5. They are told the white holes represent the entrance and exit of an object that penetrated the cylinder. They are then shown the array of possible objects (ranging from a circle to a teardrop shape) and asked to select the shape of the penetrating object.